Ramesh and Indu Kumar left India in 2004 and settled in New Zealand. Ramesh worked entry-level jobs and drove taxis at night to make ends meet. In 2008 they bought a Turkish restaurant, but found out that it was a tough gig for committed vegetarians! So, come 2009 they opened an education college for Indian people in New Zealand. Business was going well, and Ramesh became the first foreign-born director of his taxi company. They were living the dream. In 2011, powerful earthquakes rocked Christchurch, and the Kumars’ business was destroyed. There was a popular belief in India that 2012 was the end of the world, and that the ending would begin in New Zealand. Students stopped coming. Tourism also ground to a halt, which took its toll on Ramesh’s taxi income. Struggling to make ends meet, they sold up their house and business at a loss, and headed for Australia. With no money and staying with friends, the Kumars started over. Ramesh found work as a bus driver (a step up!) and they were able to purchase a PPR in Western Sydney. The Kumars then joined the ILRE community in 2015, and through Kevin Doodney’s Wholesale Club got behind a number of profitable inner-city developments. Perhaps mirroring their own life experiences, the Kumars have used the knock-down and rebuild model four times now to create over $683,000 in equity… in just 18 months! In 2015, Ramesh realised that the eastern capital markets were moving too quickly for their humble position, but still wanted something within 5km of a major CBD. After seeking expert advice from Kevin Doodney’s Wholesale Club, they found something with potential close to the CBD of Adelaide. The property was a run down house on a large block of land just minutes from the centre of town. Using the money from their mortgage offset account, and Kevin’s wealth of contacts in South Australia, they purchased a North Plympton address in July 2015 for $400,000. They demolished the existing house, subdivided the land and built two new dwellings for a total cost of $480,000. A recent valuation of the two properties came to $1.2m giving the Kumar’s an equity gain of $320,000 (in less than a year!). Ramesh and Indu plan to sell one house, and rent the second, creating a stream of positive cash flow. Six months after securing his first deal, Ramesh repeated his strategy of buying in close proximity to the Adelaide CBD, knocking down the existing house and rebuilding multiple dwellings. Working with partners from the ILRE community, they found a property in Plympton Park for $500,000, subdivided and built three dwellings at a total development cost of $600,000. With an estimated valuation of $1.3m, the JV has scored a total equity uplift of $220,000. With a model that worked, the next deal in line for Ramesh and his JV was another ‘knock down’. The JV purchased a property at $500,000, knocked down the house and got approval for two dwellings. This cost him just $30,000, however rather than build it himself, he decided to put the property back on the market. It sold for $610,000, with the JV collecting $70,000 profit. 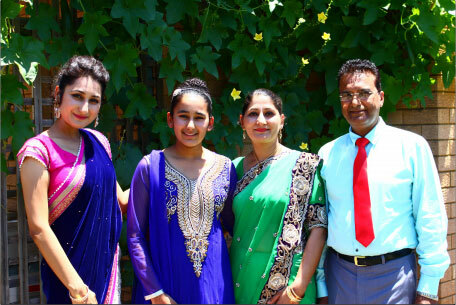 With a JV team that worked well together, the Kumars have recently purchased another SA property for $520,000, with the intention to knock down the existing house and rebuild three separate dwellings. Their estimated spend is $630,000, with an estimated end valuation of $1.4m and a conservative equity uplift of $250,000, split four ways. Experienced non-denominational meditation masters, the Kumars know the importance of mindset. Even though they’ve had to start over twice, first when they moved to New Zealand, and then again when they moved to Australia, they never doubted that things were unfolding as they were supposed to. With this positive outlook they have always believed that the world is full of opportunity, and they have become energised and enthusiastic members of the ILRE community.